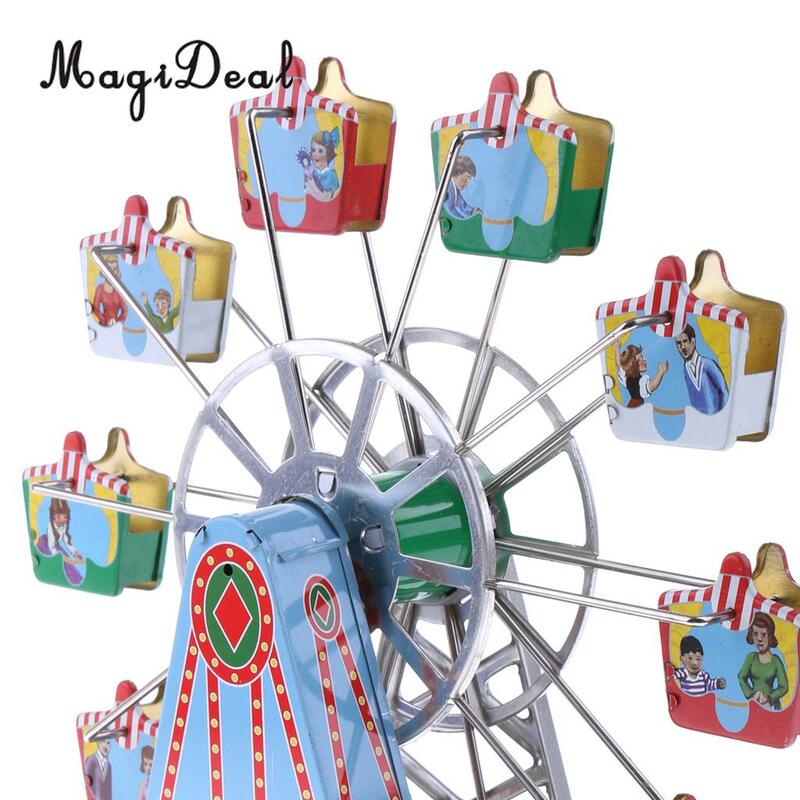 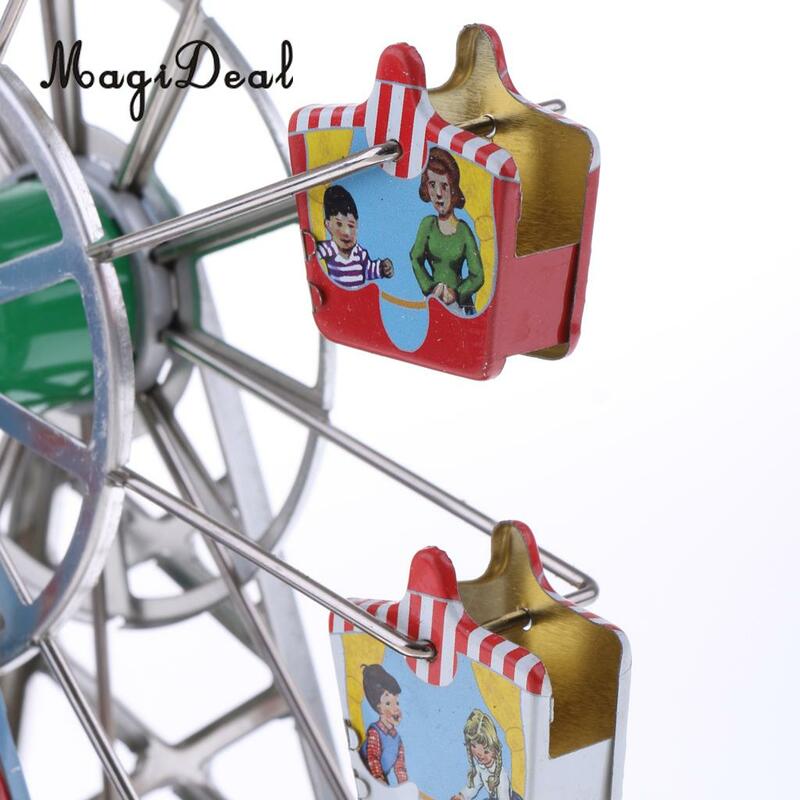 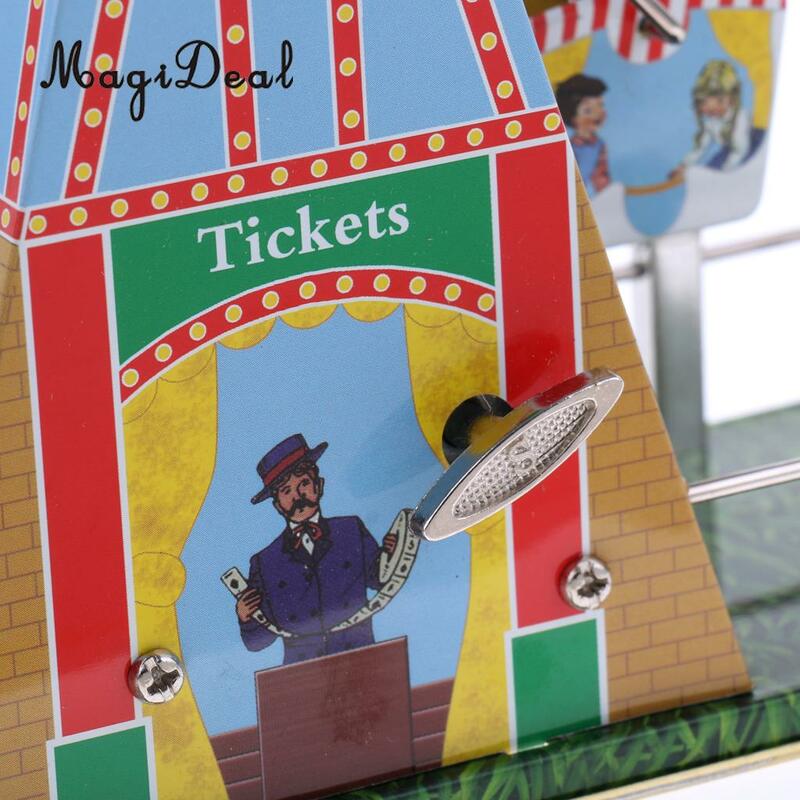 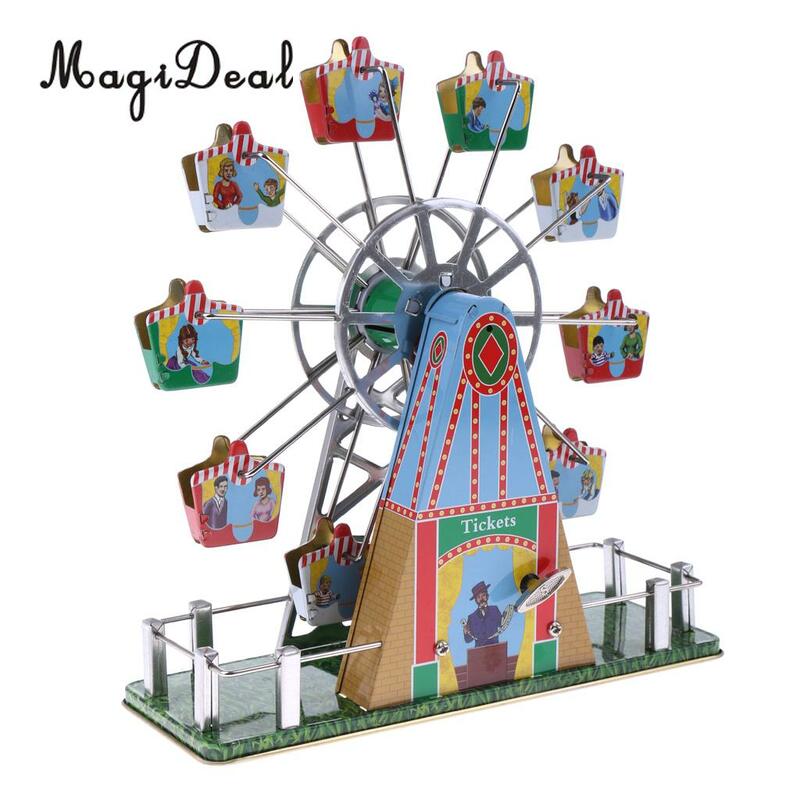 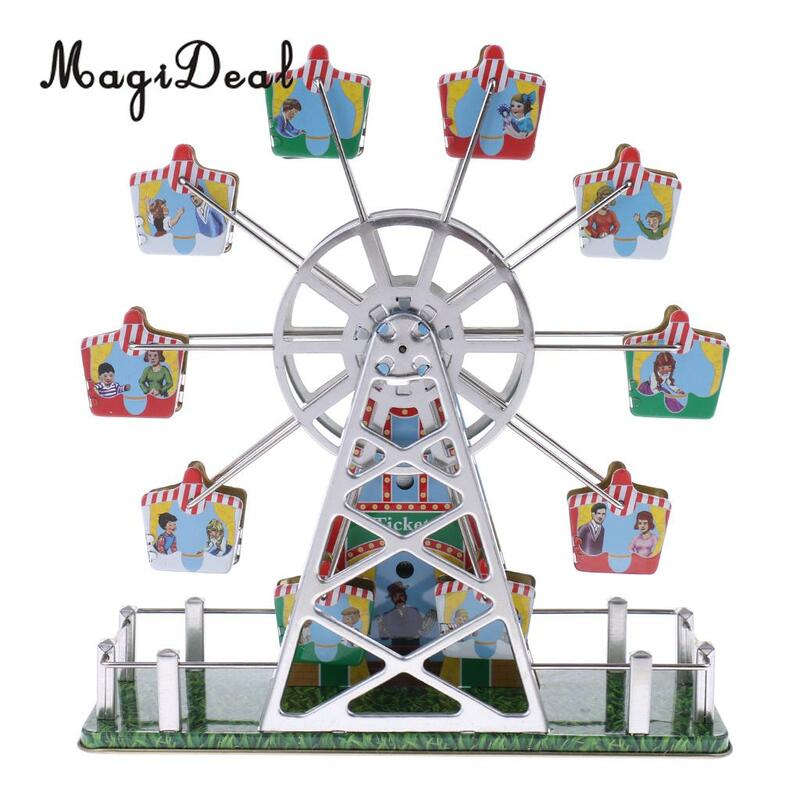 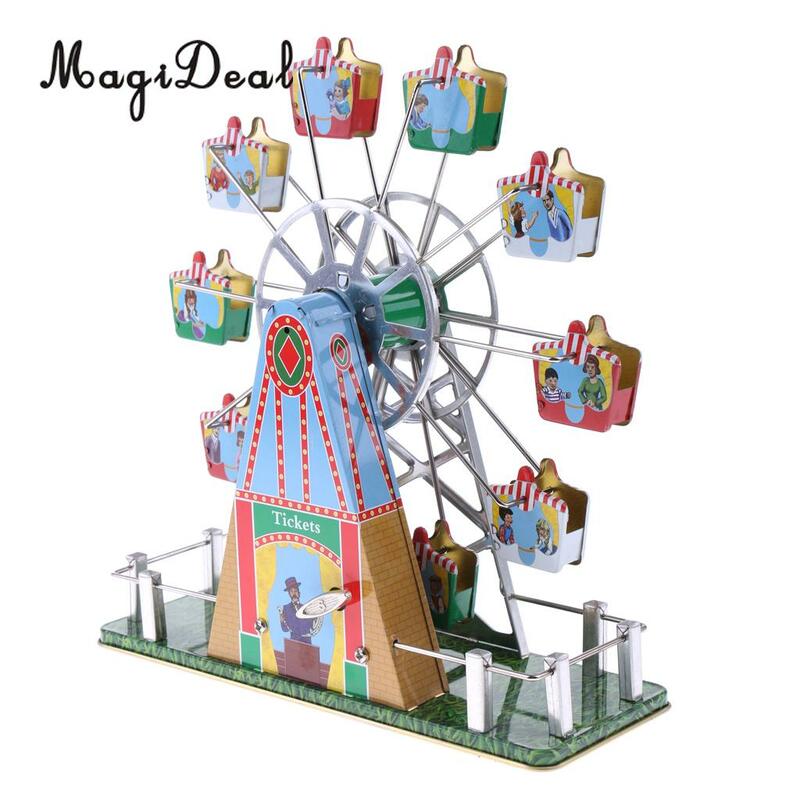 - Wind it up clockwise with a key, the ferris wheel will start and paly music. 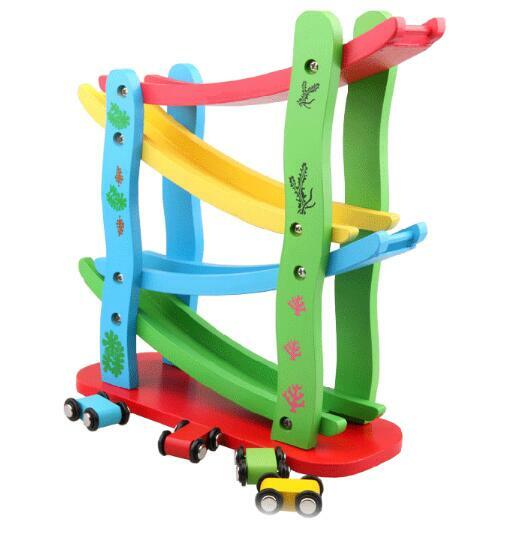 - Warning: This item contain small parts, kids should be under adult\'s supervision when playing this toy. 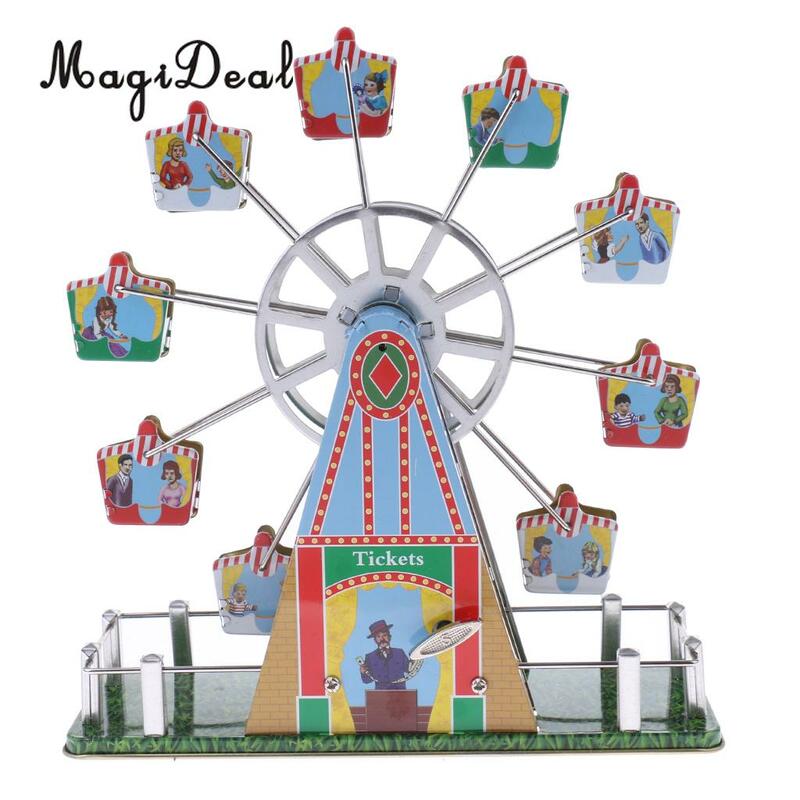 1)Tin toys are hand-assembled production; there might be a little scratch on the surface due to the production process.